IS YOUR BUSINESS INFORMATION ON GOOGLE. Once we create a new account or claim an existing one you don't have access too, HWD can Update your Google local listing anytime. If you need to adjust your hours for the holidays, add a new phone number, Make changes to your local business listing HWD will take care of it for you, and your listing will update across Search and Maps. HWD insures this is done correctly and the page is working 24/7 for you. Any issues we address them fast. That is what our Management service does for your business on Google so you can focus on your business. Get the real details behind how your Google listing brings you knew business. 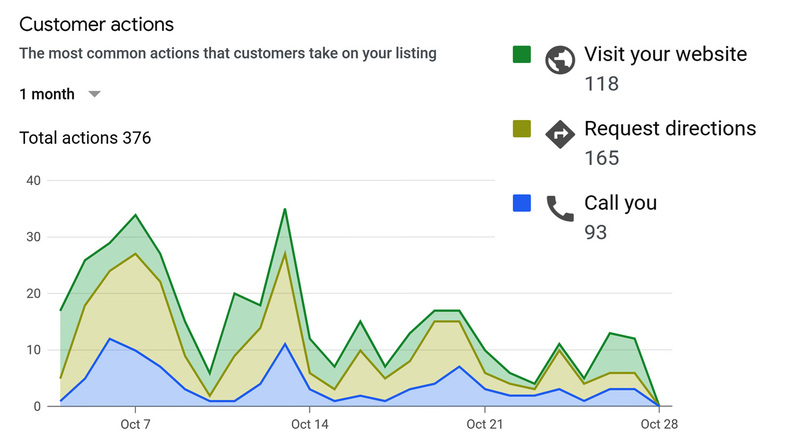 With simple to understand monthly reports, you can track important info like calls from the Google My Business Page to your business, requests for directions or website visits. This is the least expensive way to market online for local searches in your area. Without it, you are giving exposure to your competitors, rather than yourself. Google My Business Pages are essential in today's online market for any business. Reviews are now a two-way conversation between you and your customers—be the first to know when you get a new review on your local business listing so you can respond if you want to. HWD will let you konw when a new review was added, and also show you how to get your good clients to leave 5 Star Reviews for you! 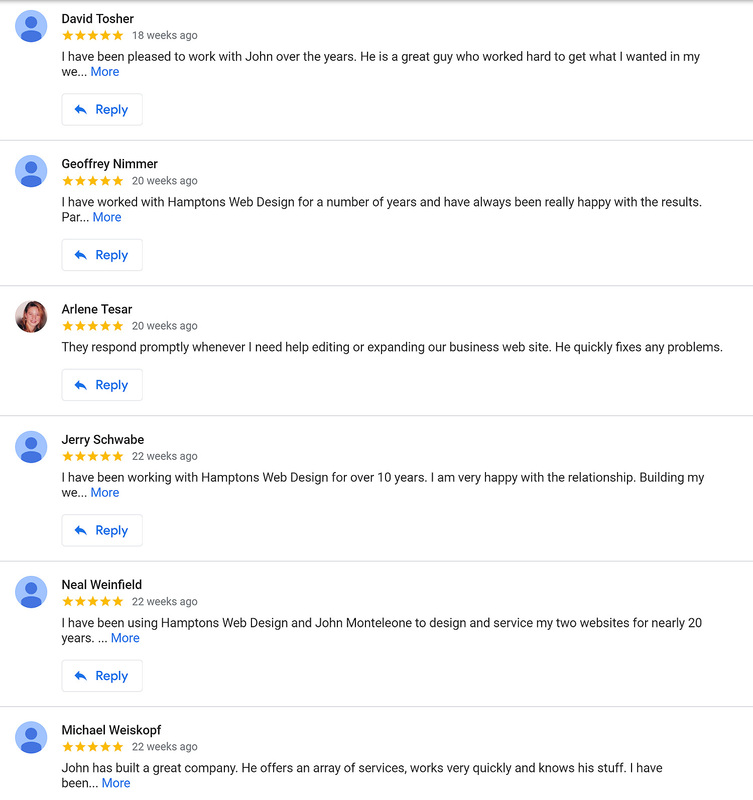 If you have a WordPress site with us, we can even bring those reviews right into your website for you. Reviews help increase the value of your Google My Business Page, and helps it increase its rank for searches. Signing Up & Monthly Management is inexpensive for this important service. 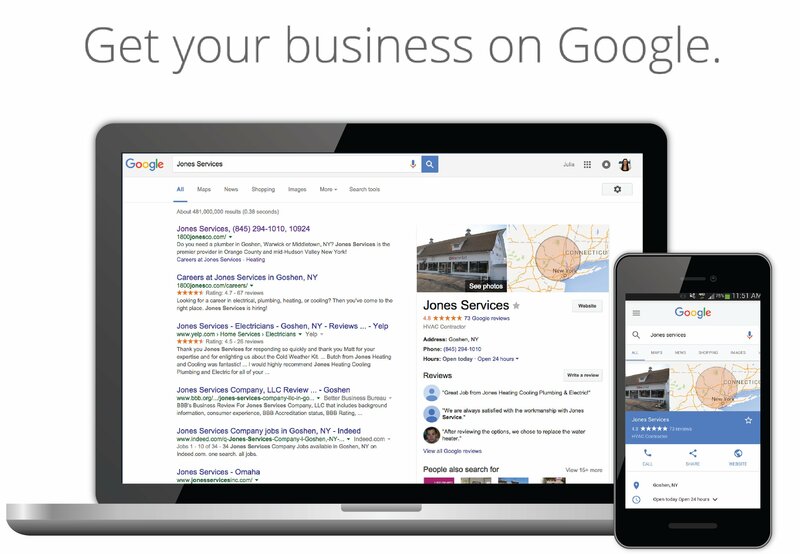 To create a new or claim an existing Google My Business Page - a 1 time x fee of only $350. To Manage it for you - $30 per month. This is only $1 per day to insure this essential business page is working, fix issues should they arise, and update it for you at any time with a call or quick email. We also send you monthly reports, and can discuss the results with you. Get your listing working properly today, take control, and let it begin working for you. It takes 2 weeks to 1 month to launch so please sign up today. Click the GET STARTED button below and fill out the short form. Once we receive these short documents we schedule in the work. I know someone else manages it and but want to move management to you. I have no idea who manages it.